[Competition] New Year Happy Moments! Marie was ending hanging the last ball on a huge Christmas tree, set in the center of the Pandemonium. For today, her work on decorating the capital for the holiday has been completed. - Oh, Almighty Aion, what a beauty! - Exclaimed murderer Shang appearing out of nowhere, an old friend of Marie's. - Do you like it? I've been decorating it the whole day. - Boasted Marie, proud for her work. - This is very simple! – Marie clapped her hands and reached for her backpack, so comfortably left under the tree, – Just today I bought at shugo for a heap of Kinah this thing, - she was fiddling with the camera. It can save moments, let's try it out? Dear friends! 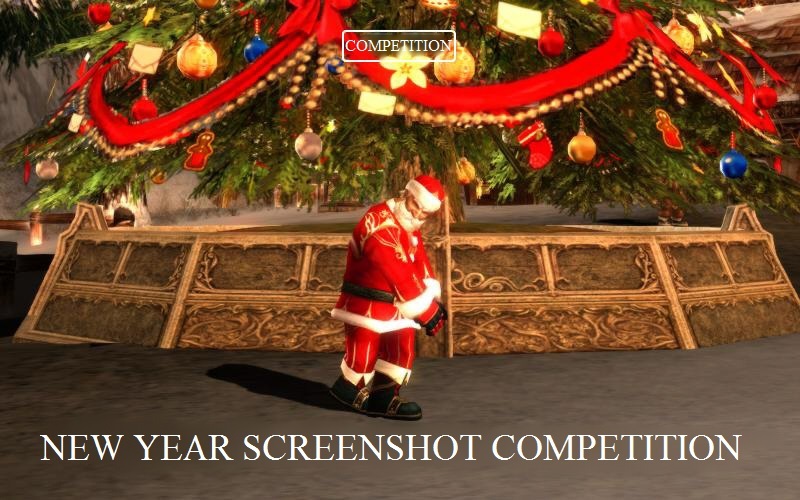 When winter has come to its power, the capitals have been festively decorated, and only a few day are left before the New Year, we are launching the most long-awaited (Yes) competition of The New Year Screenshots! Task: Create a screenshot reflecting the New Year's festive atmosphere. Works must be published in the separate topic. Each participant at the end of the publishing must specify their data: nickname, side (ely/asmo). The winners will be chosen by voting by the administration.